Founded by Michele and Matt, a mother and son team from the beautiful Isle of Man. 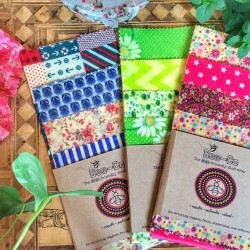 After living in Australia and seeing the widespread use and the benefits of beeswax wraps, they decided to bring this incredible idea back to the UK with them. Plastic use is a huge problem, and swapping cling film, sandwich bags and foil for Bee-Co Wax Wraps' sustainable wraps is just one of the ways to cut down your plastic footprint! Bee-Co Wax Wraps have been working tirelessly since day one in order to create the highest quality products they can, while ensuring they use responsibly sourced ingredients. 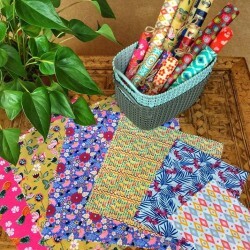 Their wraps are lovingly handmade using 100% cotton fabric, cosmetic grade beeswax, organic jojoba oil and golden tree resin.